The big news has made its way in the entertainment industry and it doesn’t come as a surprise to us that yet another leading actor from Pakistan made her debut across the border. It seems like a rat race where everyone wants to add a must have Bollywood movie to their credentials. Well, by now you must have guessed that I am talking about none other than the extremely gifted and talented Saba Qamar. The theatrical trailer of her upcoming venture Hindi Medium was very recently released and received an overwhelming response from the entertainment industry and her fans. 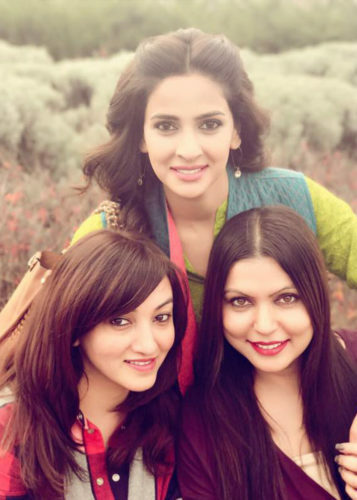 The trailer seems promising and obviously there is no question about Saba’s acting skills. What we extract from the trailor is a mediocre class couple seeking to fit into the elite class of the society. Saba has brilliantly mastered her craft over the years with some remarkable performances in various drama serials and is every director’s dream to work with. And why won’t she be? After all, who can forget her noteworthy performance in Sarmad’s Khoosat’s acclaimed biographical drama ‘Mantu which left us speechless and a rockstar in the travel comedy Lahore se Aagey last year. Getting your first break from television, did you ever think back then that you will ever land up doing a Bollywood flick? First of all, I never even thought that I’ll be an actress one day. I sort of stumbled into acting. Secondly, I have immense belief in destiny and hard work. Whatever I have achieved in my life is because of my dedication and hard work towards my profession. Did you make a better debut than Mahira Khan in India? Your thoughts on it? God knows! Don’t get me into trouble now. But on a serious note, I think the audience is a better judge of it. Who am I to say anything? I was approached by Maddock films after they saw my Tv serial ‘Maat’. They thought I will be a perfect fit for the character they were looking for. And that was how I got roped in. 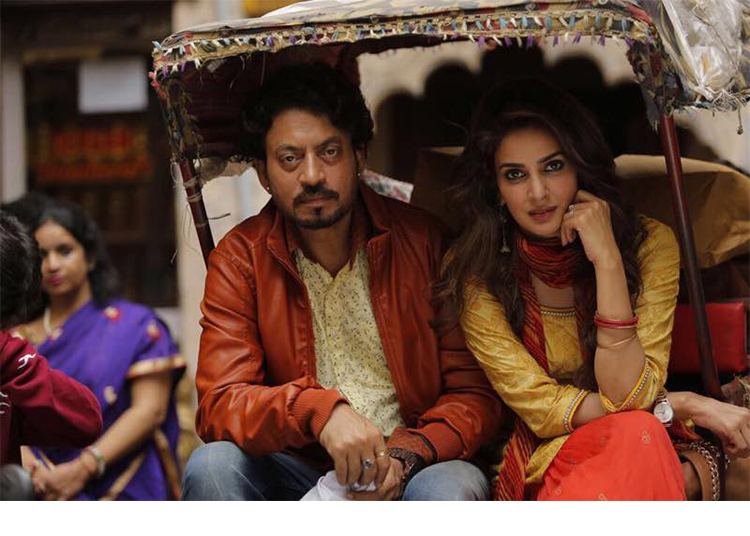 Tell us about your experience working with Irrfan Khan? It was an amazing experience and I probably might not be able to put it into words. Apart from being a versatile actor he is a great human being to work with. I will always cherish this experience and couldn’t have asked for a better break than this. How is the character different from the roles that you have already done here? I was reading a lot of scripts. But I chose this role because I could relate to the character and the story line. The performance seems very effortless if you find the script and the characters relatable which the case here was. I avoid doing roles which does not click me or with whom I can’t connect with. In your perspective, how important is English Medium schooling and how it’s taking its toll on us as a society? According to me, English medium schooling is very important. English is a widely recognized language but at the same time I believe that an individual’s capabilities and talent should not be judged and questioned because they can’t communicate in a certain language. Do you think any other actress would have done this role better than you? I believe that no one could have delivered the character like I did because every individual especially actresses performs in their own unique style and will have something different to bring to the table. That’s why I think no one could have done it the way I did. They might have done it differently but not the same. We are well area of the tensions created between India and Pakistan. Did you face any stereotypes there? Let’s say, did they see you as a terrorist? Not at all. I didn’t face any thing of the sort. I just focused on my work and I can proudly state that I maintained my dignity and worked with integrity. I think I have done a great job keeping it that way. Any scoops from the happenings on the set? 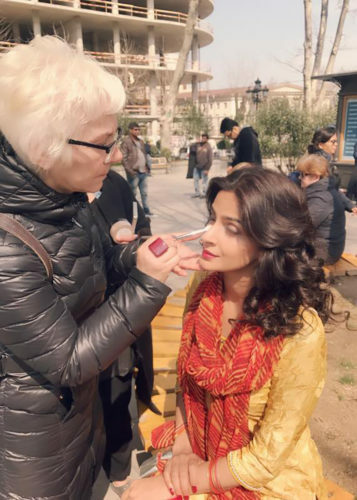 Last but not the least, what’s next for Saba Qamar?